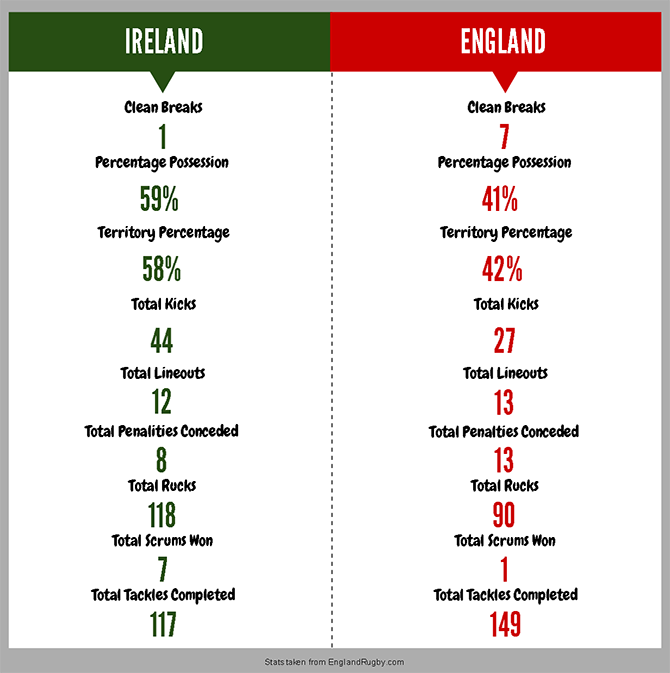 On Sunday we saw England fall defeated to Ireland at the Aviva Stadium, making it their first (and hopefully only! Six Nations loss. We take a look back at the match's statistics. On Sunday we saw England fall defeated to Ireland at the Aviva Stadium, making it their first (and hopefully only!) Six Nations loss. We take a look back at the match's statistics. For your chance to witness England in action at home then take a look at our Twickenham hospitality page for more information on how to enquire.